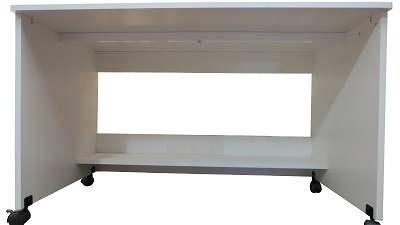 Rear view of table (43.5" width). 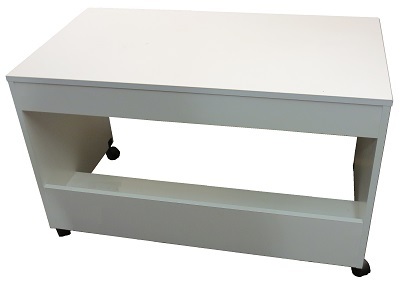 Front view of table (43.5" width). Steel top support to handle heavy machines without sagging. Easy assembly with Rafix(tm) style cam locks. ** Width can be ordered from 36" to 72" (price will be adjusted according to change). Default pricing is for the 43.5" width.